The latest research article from the Integral Cinema Project's partner project "Project Catch-IT" is now available online. The article explores the latest findings and approach, including how we used an integral approach to media design to help create a technology-based mental health intervention for teens with depression. “The Archetypal Lens” is a presentation exploring the preliminary application of an Integral approach to archetypes and archetypes in the cinematic arts. Presented at MetaIntegral Academy for the Advanced Meta‐Movieology Course on April 16, 2015. (DOI: 10.13140/RG.2.1.3885.0724). The presentation is available at SlideShare. The Integral Movie and TV List has been updated and moved over to the Internet Movie Database (IMDb) at: http://www.imdb.com/list/ls074613980/. On the list you will find all the currently tested movies and television series that have integrally-informed elements to varying degrees according to testing criteria developed during research on the application of Integral Theory to cinematic media theory and practice. According to this research, a cinematic work is deemed to be integral if elements of the integral stage of development are represented in the cinematic form, style, structure, content, and/or are embedded in the material as a presence or atmosphere. These representations of the elements of the integral stage of development can include: The exploration and integration of multiple evolving dimensions and perspectives of lesser and greater depth and span; the concretion of abstract and interior dimensions and perspectives, such as time and interiority, in the service of evolutionary growth and development; an evolutionary story, event, and/or character progression that is given greater than or equal emphasis to conflict resolution, with progression developing vertically through at least three stages or levels of development; the evolutionary impulse as a driving force or causality pattern; the valuing of truth that is qualified by evolving perspectival fields; and/or a Kosmo-centric circle of care and concern that suggests an awareness, integration, and embracing of all of existence. About Time (2013) - An integrally-informed Kosmic love story about a time-traveler who attempts to use time to fix mistakes and problems in his everyday life, love life, and in the lives of those around him and ends up evolving himself and others in ways beyond measure. Edge of Tomorrow (2014) - A viscerally-charged temporality-loop-based evolutionary science fiction journey about a soldier stuck on repeat going through the same battle over and over, forcing him to develop as a warrior and evolve from an egocentric to Kosmo-centric human being and ultimately find a Kosmic love. Frequencies (2013) - Strange, wondrous and intimate integral-evolutionary parallel-present-reality science fiction film exploring free will, fate, attraction, and the Kosmic power of the frequencies of being and becoming. Her (2013) - A beautiful, subtle, and imaginative integrally-informed exploration of the co-evolution of humanity and technology and the evolution of artificial intelligence toward a Kosmo-centric reality. Interstellar (2014) - The beautiful and groundbreaking integrally-informed science fiction space epic that attempts to both accurately capture the real physics of outer space and concretize the non-physical dimension of love as a Kosmic level force of existence. Lucy (2014) - Hip and pulp-styled integrally-informed parallel-present-reality science fiction action flick whose female lead goes on a wild drug-induced physical, emotional, perspectival, and ultimately Kosmic evolutionary ride to the further reaches of being and becoming. Man Facing Southeast (1986) - A mysterious, magical, Christ-like, integral-esque and perhaps "alien" patient in an insane asylum acts as the evolutionary catalyst for the residing psychologist and all the other lives he touches. Oblivion (2013) - A haunting and layered science fiction exploration of the evolution of awareness and consciousness within and beyond the traditional corporal forms of humanity. Awake (2012 TV Series) - An imaginative short-lived TV series that attempts to use temporal and spatial shifts in reality in the service of the main characters evolution toward a Kosmo-centric level of being. Battlestar Galactica (2004 TV Series) - Epic integral-evolutionary space saga that takes us on a developmental journey that slowly becomes deeper, richer and more complex and ultimately evolves into a profoundly transformative time, space and mind-bending adventure where villains evolve into heroes, pasts become the future and the future become past. Da Vinci's Demons (2013 TV Series) - A fun, imaginative, and deep reimagining of the life and times of Leonardo Da Vinci portraying him as an integrally-informed genius way ahead of his time. Heroes (2006 TV Series) - A wild, superhero-esque integral-evolutionary exploration of the struggle between humanities higher and darker potentials. While network pressures caused the creators of this show to veer off their intended course, the integral-evolutionary foundation of the work is still present through to the end. Sense8 (2015 TV Series) - "Sense8" is a beautiful, brilliant, and groundbreaking integrally-informed dramatic series that attempts to capture and help us vicariously and viscerally experience the tetra-enmeshment of all four dimension-perspectives of our individual and collective interior and exterior world, as its characters and we the viewer experience the dissolving of the boundaries between individual subjective reality, collective relational reality, individual objective reality, and collective environmental reality. Touch (2012 TV Series) - A beautiful short-lived TV series about the interconnectedness of all things and an integrally-informed level gifted child who perceives and acts from this complex web of connection and profoundly effects those around him and the fabric of reality itself. More movies and TV series are added to the list as more are tested so check back periodically to keep abreast of the research. For more on the application of Integral Theory to the cinematic arts visit the Integral Cinema Project at: www.integralcinema.com. An Integral Cinematic Arts Reading List is now available at Amazon. The Reading List includes a list of books recommended for anyone interested in exploring the cinematic arts from an Integral, evolutionary or transformative media perspective. These works are arranged starting with more direct integrally-informed works, followed by works that explore various dimensions of the cinematic process from a integrated or hybrid theory-practice perspective, and finally some foundational theoretical works. Resources listed here include various integral cinematic arts related articles, papers, books, presentations, audiovisual media, and online resources. As part of the Integral Cinema Project’s Research Partnership outreach application process, we are working with the International Simultaneous Policy Organization (ISPO) to help them develop an integrally-informed cinematic work to inspire an awareness for the need for Binding Global Governance across different cultures and structures of consciousness to more successfully address major global problems like climate change and global financial instabilities. The International Simultaneous Policy Organization (ISPO) is a voluntary organization that promotes the Simultaneous Policy (Simpol) campaign. The ISPO is a growing association of citizens world-wide who aim to use their votes in a new, coordinated and effective way to drive all nations to co-operate in solving our planetary crisis. It believes that transnational citizen action is vital because "global markets and multinational corporations so comprehensively overpower individual nations that no politician dares make the first move to solve global problems for fear of competitive disadvantage." ISPO aims to overcomes this paralysis by bringing all nations to adopt in principle - and then to simultaneously implement - the Simultaneous Policy (Simpol), a range of democratically formulated regulations to bring about economic justice, environmental security and peace around the world in a way the recognizes and honors all interests. By supporting Simpol, ISPO's citizen-members pledge to vote in future elections for ANY political party or candidate - within reason - that has signed a pledge to implement Simpol's range of measures only when all or sufficient other governments have also signed. ISPO argues that, as more and more citizens act in this way, politicians will have no choice but to sign the Pledge if they wish to remain in office, or else they risk losing their seats to other politicians who have adopted it. Individuals and politicians who have adopted ISPO's simultaneous policy have come from all parts of the political spectrum and the Simultaneous Policy presently has campaigns running in twenty seven countries. 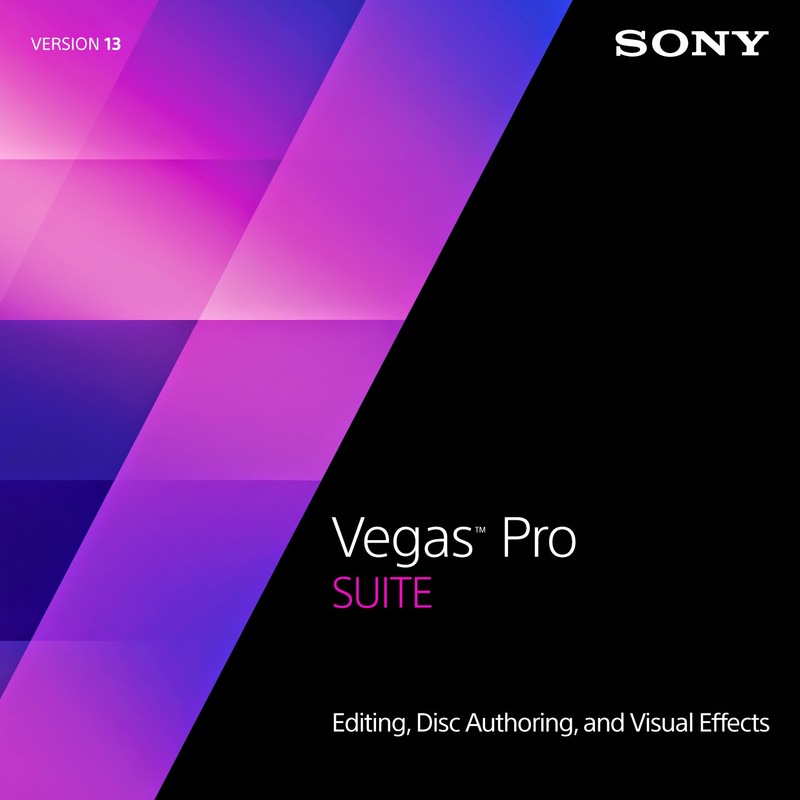 The Integral Cinema Project has received the generous donation of Vegas Pro 13 Suite video editing, disc authoring, and visual effects software package from Sony Creative Software. 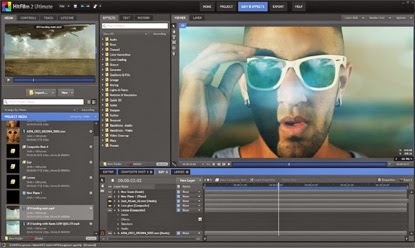 Vegas Pro 13 Suite is an intuitive and integrated suite of applications for advanced video and audio editing, deep visual effects processing, and disc authoring with total workflow customization, The suite is comprised of Sony Vegas Pro 13 as its core application along with a host of additional tools from Sony Creative Software and its key partners including DVD Architect 6, Sound Forge Pro 11, Vegas Pro Production Assistant 2, HitFilm 3 Pro, iZotope Nectar Elements audio effects package, and NewBlue Video Essentials VI visual effects package. The Integral Cinema Project is using this software in its cinematic research experiments on the application of Integral Theory to cinematic design and creation practices through various experimental video productions. Our initial testing of the Vegas Pro 13 Suite suggests that it can be a useful and powerful tool for in-depth cinematic research and experimentation and for integrally-informed post-production processes and practices. We are deeply grateful for the contribution of this software suite, and for the support of Sony Creative Software. 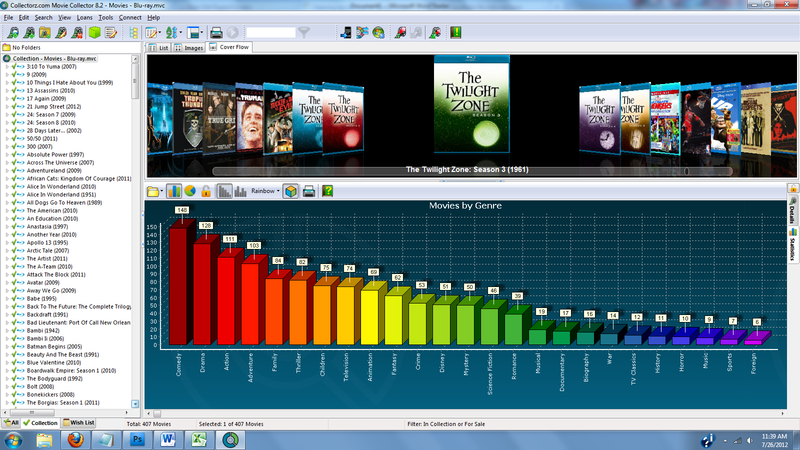 The Integral Cinema Project has received the generous donation of Movie Collector movie cataloging database software from Collectorz Software. 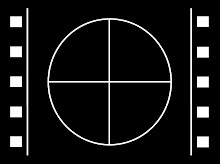 The Integral Cinema Project is using this software in its research on the Co-Evolution of the Moving Image, Conscious, Culture and Society; as part of the Basic Integral Cinematic Aperspectivalism Test (BICAT) testing of cinematic works; and for the development and application of Meta-Movieology practices. Our initial testing of the Movie Collector program suggests that it can be a useful and powerful tool for both personal and professional use, including in depth cinematic research. We are deeply grateful for the contribution of this software program, and for the support and inspiration of the creators of Collectorz software. MetaIntegral Academy is excited to offer the wonderful and ground-breaking 12-week advanced course in Meta-Movieology created and facilitated by Mark Allan Kaplan. It starts January 18th, 2015. If you are an integralist and a movie enthusiast and have already taken the basic course (Meta-Movieology I), this course is for you. Meta-Movieology II is the second course in the Meta-Movieology series exploring a groundbreaking meta-approach to learning Integral Theory through a transformative moving image viewing practice. In this course you will develop a deeper and more visceral understanding of the advanced elements of the Integral approach by using the aesthetic and multisensory power of the moving image for embodied learning and evolutionary growth. 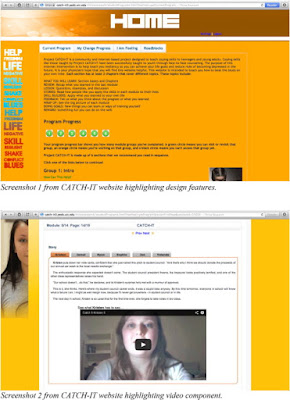 This event takes place online. This course is for anyone who has taken the Meta-Movieology I introductory course. If you have already taken the first Meta-Movieology course, this course will deepen and expand the embodied learning and evolutionary growth from the previous course. Join Mark for this advanced level course, which explores how the six advanced Integrally-informed lenses of zones, altitudes, energies, methods, complexity, and archetypes can be utilized as powerful transformational practices for using any moving image work, from movies to video games, for your own evolutionary growth and development. This course will be taught through 12 weekly 90 minute conference calls (recordings for the calls will be posted for participants who are not able to join a call). 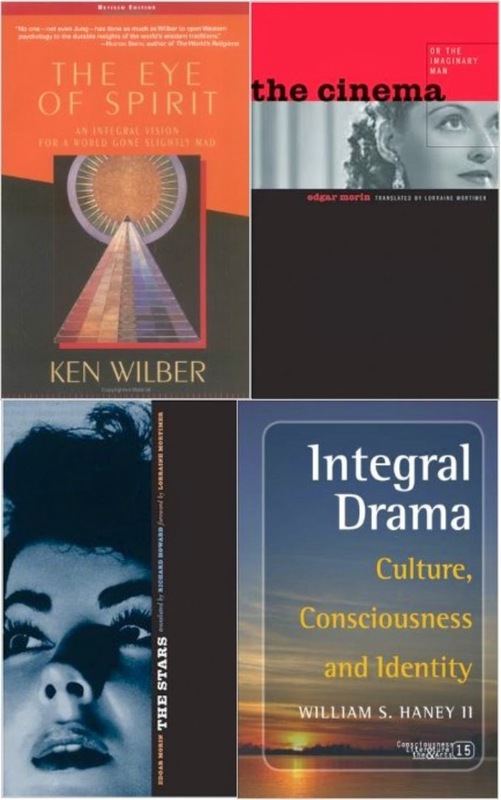 We will be deeply exploring each of these six advanced integrally-informed lens, spending two weeks on each lens with assigned practices, readings and movie viewing assignments, along with online threaded discussions to connect with fellow participants and deepen your understanding of this work. Don’t miss this exciting opportunity – Integral Theory and the movies will never look or feel the same. Instructor: Mark Allan Kaplan, Ph.D. Note there will not be a call on April 9th and 16th. This two week break is designed to give participants enough time to watch and practice with the complete Dark Knight Trilogy. *Participants will be required to either rent or buy the movies listed as Weekly Movie Viewing Assignments. All other materials will be supplied by the instructor. If you have not already seen any of these movies, it is recommended you view them as a pure viewing experience before the course begins. I was surprised at how deep the Meta-Movieology practice goes. After completing the course, I have a richer experience with films, which has cascaded into other areas of my life. I can't say enough good things about the Meta-Movieology course. It was delightful and profound. 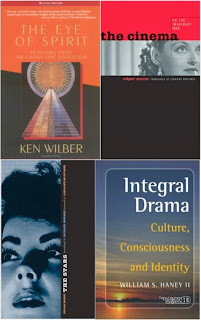 This course enabled me to see integral concepts in movies that I had not recognized before and that's saying a lot because I have followed Ken Wilber since his first publications. Mark is a great teacher! I am out of my league as far as my experience with integral is concerned, yet the materials, movies and weekly discussions in this course met me right where I was at. I found the meditations mind blowing and key to the shifts I am experiencing in my expanding awareness. I feel so fortunate to have stumbled on this opportunity. The Meta-Movieology course is at the theoretical, practical, and pedagogical cutting-edge of integral and evolutionary film theory and practice – it is a sophisticated training in how to experience film, and therein how to deepen one’s experience of the world within and around us. While being theoretically advanced, this course is taught in a manner that anyone, beginner or advanced practitioner, can readily get and do so with transformative results. I very highly recommend this course of study. Mark Allan Kaplan, Ph.D. is an independent award-winning filmmaker and the pre-eminent theorist and practitioner of the application of Integral Theory to the cinematic arts. Mark has a B.A. in Motion Picture and Television Production from the University of Southern California School of Cinematic Arts, an M.F.A. in Motion Picture Directing from the American Film Institute, M.A. and Ph.D. degrees in Psychology from the Institute of Transpersonal Psychology, and a Certificate in Integral Studies from Fielding Graduate University. He has worked professionally in the entertainment industry as a producer, writer, director, editor, researcher, and consultant. Mark’s creative works have been shown on television, in theaters, schools, and colleges, and at art and film festivals and expositions around the world. He has also conducted seminal research in Integral, transpersonal, transformative, and transdisciplinary approaches to film, video, and multimedia at Interval Research Corporation, the University of Chicago, the University of Illinois at Chicago, and as founder and lead researcher of the Integral Cinema Project, an independent research, production, and educational initiative sponsored by the San Francisco Film Society. Mark received Integral Institute's 2008 Integral Life Award in recognition of his continuing groundbreaking research into the application of Integral Theory to cinematic media theory and practice.